A few days ago I decided to pick up a pair of knitting needles and learn how to knit because I had too many things running through my head. I tend to want to learn new things when I'm stress, anxious, scatterbrained. I guess it makes me focus on something positive and productive rather then negative and pointless. 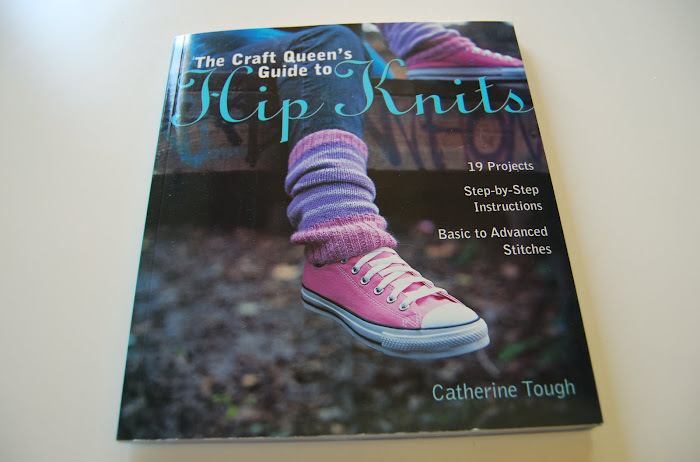 I bought this book for a while now, "Hip Knits" by Catherine Tough. I bought it because I really want those leg warmers (so Hip!) 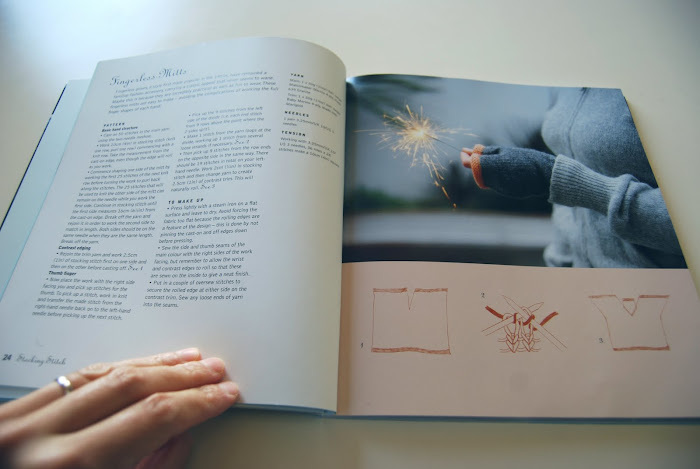 and the book really speaks to beginners, teaching how to hold the needles, casting on, finishing. I guess I'm not really a true beginner. 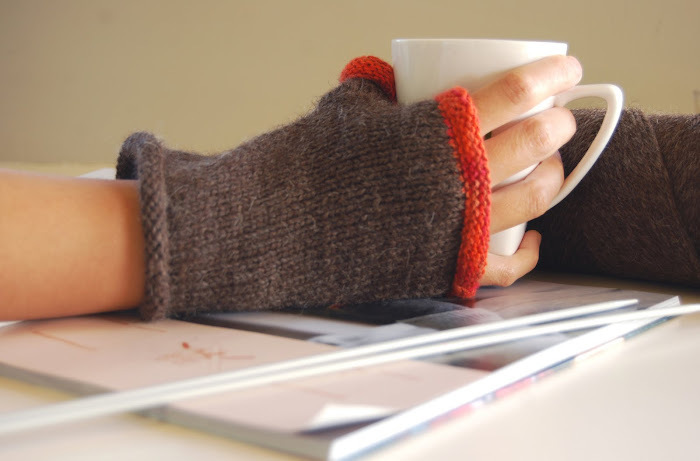 I have tried knitting when I was about 12 years old where I took my mom's needles and knitted a square and ended up with a few unwanted holes in it as I held the needles very awkwardly because they were the size of my body. Obviously it was quite traumatizing since it took me this long to try to knit again. Like crocheting, it's very addictive and very meditating. Those leg warmers will be mine! My grandma taught me to knit when I was 8 and I've been making squares ever since :) Rectangles AND squares mind you, but I'm so impressed that you finished something so quickly and beautifully! How was following a pattern? I always get lost. This is an easy pattern and like I said this book is made for beginners. So no problem at all. I am attempting these now but am totally stuck on forming the thumbs. Doh! Perhaps I had better go back to my scarfs!